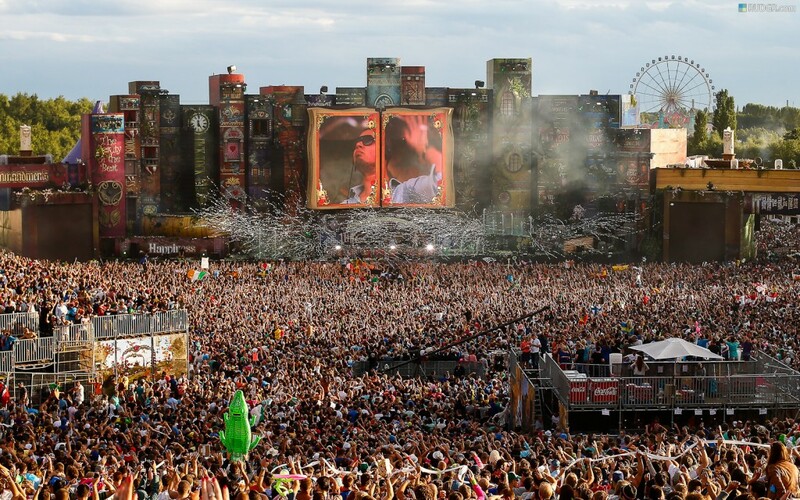 Tomorrowland has only recently become one of the most in demand music festivals in the world. The festival is located in a small town in between Antwerp and Brussels in Belgium. The town is aptly named Boom. his prime location means that people from all around Europe can visit within hours, cities such as Amsterdam, Paris, Cologne, Lille, London are all within a a few hours via train. Tomorrowland was this year visited by people from over 245 different countries which must be a record for a music festival. From as far as Brazil and Australia this is the festival the world wants to go. If you want to go to a truly international festival with people from all around the world partying and having fun together then Tomorrowland is the festival to travel to. Tickets for Tomorrowland 2013 sold out within minutes this year with an estimated 1.8million people trying to get the 80,000 tickets on sale. The sheer demand for this festival means that the tickets not only sell out but are only available if one decides to purchase from a secondary ticket agent which is often much more expensive. Tomorrowland is by far the best dance festival in the world as voted by visitors from all areas of the world. Tomorrowland has won many fantastic awards and has gone from strength each yeah. Every major DJ has stated that this is the best festival in the world and the one gig that they look forward to most in the year. Mid-July is guaranteed to be hot in the town of Boom, last year the temperatures were amazing with the sun starting from first thing in the morning and lasting all day until the night. With this guaranteed good weather this makes the festival much more better, no need to worry about packing wellington boots like most other festivals. 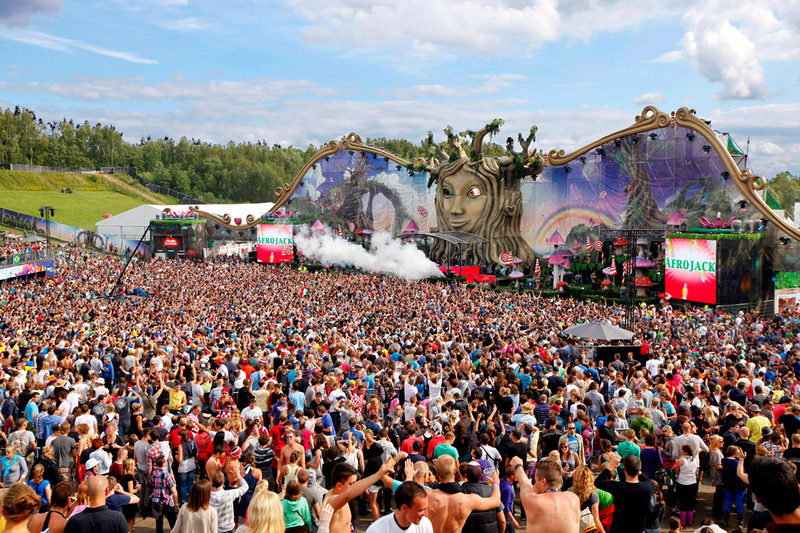 Tomorrowland has the best venues, best stage, best production, best layout and best DJs for a festival in the world. One would expect the tickets to be expensive but the value is truly fantastic. UK and festivals in Sweden, Norway and Germany normally cost twice as much as this festival yet do not offer the same facilities and headline acts. The great value is no surprise as 180,000 purchase tickets within minutes each year. Only the best of the best DJs in the world will be at Tomorrowland and the headline acts truly are the best DJs on the planet. Whilst the lineup has not yet been released, the headline acts are guaranteed to be truly amazing. 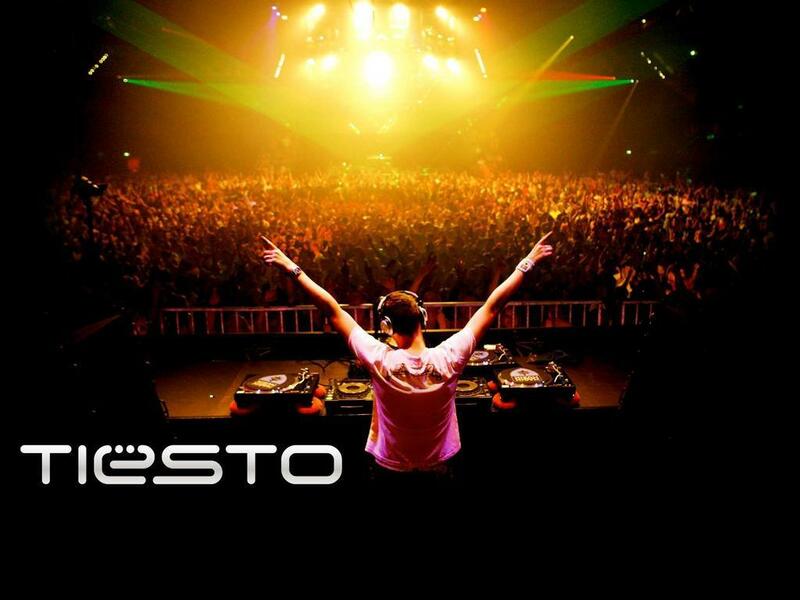 Last year the main headlines were Skrillex, Swedish House Mafia and David Guetta. Being located in Belgium means that people can travel to Tomorrowland very easily as the country is located in central Europe. Major cities such as Antwerp, Brussels, Amsterdam, Frankfurt and many others can be reached within a couple of hours on the fantastic railway system in Belgium. Amsterdam is a major hub for flights from around the world and is the chose city for incoming flights for people wanting to enjoy the festival. The venue is located in a park just outside the town of Boom in Belgium. The bowl shape allows for a truly magnificent festival with views of the stage from all sides. Inside the layout is amazing and no expense shared for the production and detail of everything. The amount of detail truly is remarkable for a festival with a lot of reference to the Tomorrowland theme. Pictures of inside the venue to follow shortly. Tomorrowland truly is a festival that is not like any other, with the international crowd, excellent venue, central location and worlds best DJs you will not find an event anywhere in the world. Even the camping environment is themed so that you completely feel the Tomorrowland atmosphere. If you are looking for a 24 hour party festival from the arena to the camping then Tomorrowland 2013 is the place to be in the summer. Whilst the festival arena opens at around 12:00 and finishes around 2am the party continues in the Dreamville camping for those people with the weekend pass. Each year 180,000 people purchase tickets within minutes of the Tomorrowland festival going on sale and it makes it the fastest selling festival in Europe without doubt. If you are wondering whether to come to Tomorrowland then simply ask yourself why 180,000 people would come, this is without the many thousands that are unlucky and cannot by the tickets because of the sheer demand.